Meghan focuses her practice on advocating for healthcare professionals in malpractice actions. “Unfortunately, many healthcare professionals must face the overwhelming reality of a malpractice action at some point in their careers.” Meghan knows that clients have much at stake when they bring their case to the team at Hancock Daniel. “By providing compassionate understanding and energetic representation, I strive to ease the burden on each client, so they can focus on what truly matters to them—their patients, and the practice of medicine,” says Meghan. 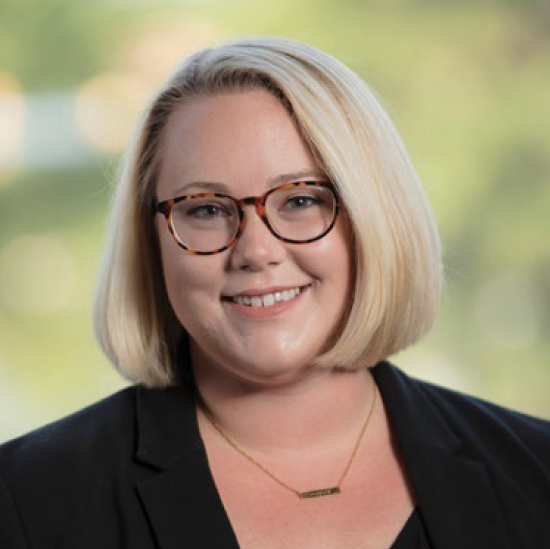 Prior to joining Hancock Daniel, Meghan clerked for the Honorable Judges of the Henrico Circuit Court, where she gained invaluable insight into the judicial decision-making process. While in law school, Meghan gained hands-on litigation experience while trying cases in two local Commonwealth’s Attorney’s offices. She served as Vice-President of the Trial Advocacy Board, as Senior Manuscripts Editor on the University of Richmond Journal of Law and Technology, and was a member of the John Marshall Inn of Court.